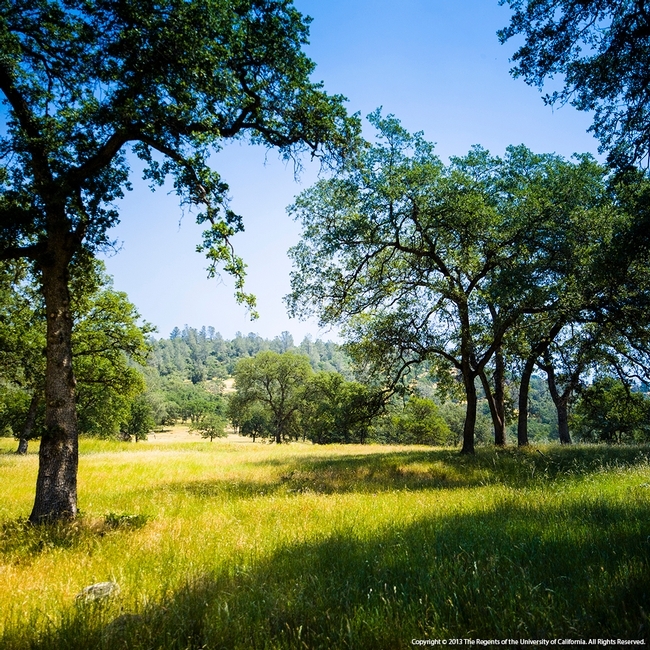 Summer “drought” is a fact of life in the Sierra Foothills. Our Mediterranean climate is characterized by cool and (hopefully) wet winters and hot, dry summers. While the higher elevations in the Sierra Nevada often receive summer moisture from thunderstorms, summers are typically dry in our foothill rangelands – we usually don't receive any measurable rainfall from late May or early June until October or even November. However, this year's summer drought is anything but normal. 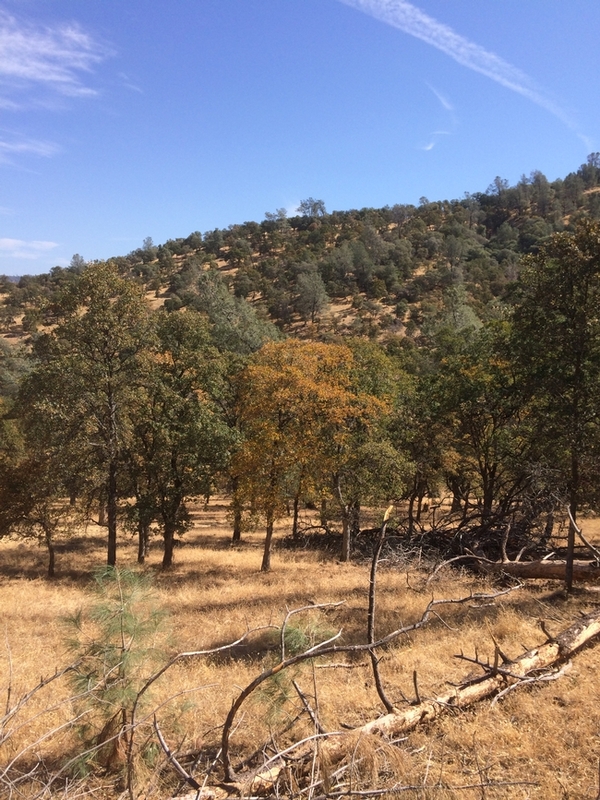 At the Sierra Foothill Research and Extension Center (SFREC) – and throughout the Sierra Foothills, we are starting to notice signs of stress after four consecutive dry years. 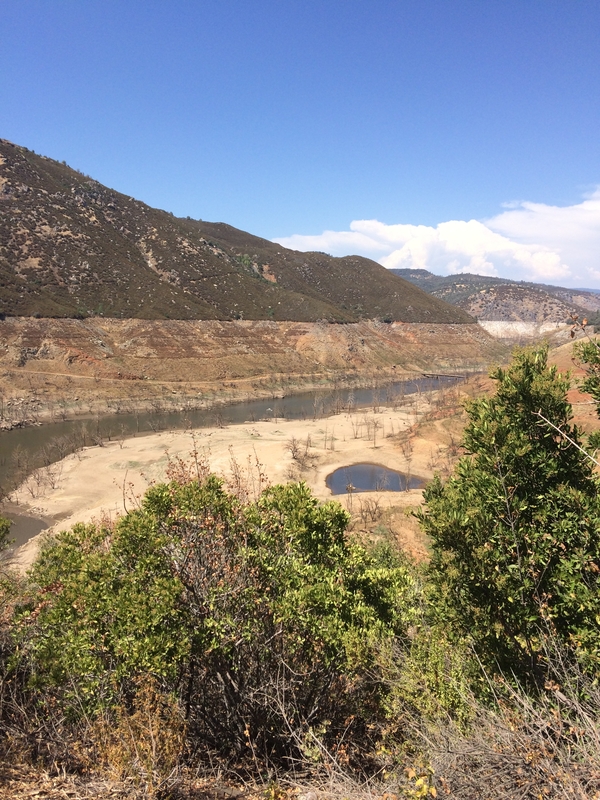 One of the most obvious signs of systemic stress, at least to me, are the water levels in our foothill reservoirs. After the first three years of this drought, we went into last winter with depressingly low water levels in most of our man made lakes. These reservoirs are critical for storing water for irrigation, human consumption, and downstream wildlife habitat. In normal years, they allow us to capture snow runoff and save it for use during the dry summer months. The winter of 2014-2015, however, brought virtually no snow to the Sierra Nevada – and consequently no spring runoff. I thought our reservoirs were low last summer; this summer is even worse. Last weekend, I drove across the Parrotts Ferry bridge over New Melones Reservoir (on the Stanislaus River between Calaveras and Tuolumne Counties). I was shocked to see that the water level had dropped below the old Parrotts Ferry bridge – I'd ridden across it as a kid, but didn't think I'd ever see it again once the New Melones Dam was built. Perhaps even more shocking – I could see the Stanislaus River flowing under the bridge. Another obvious sign of drought stress can be found in wildfire behavior. As I write this, many regions of Northern California have experienced another round of dry lightning. Wildland firefighters report that this year's fires are exhibiting behavior that they've never experienced – fueled by incredibly dry vegetation and erratic winds. And the worst part of our fire season is still to come; while temperatures begin to moderate, September and October are generally dry and windy in the Sierra Foothills. 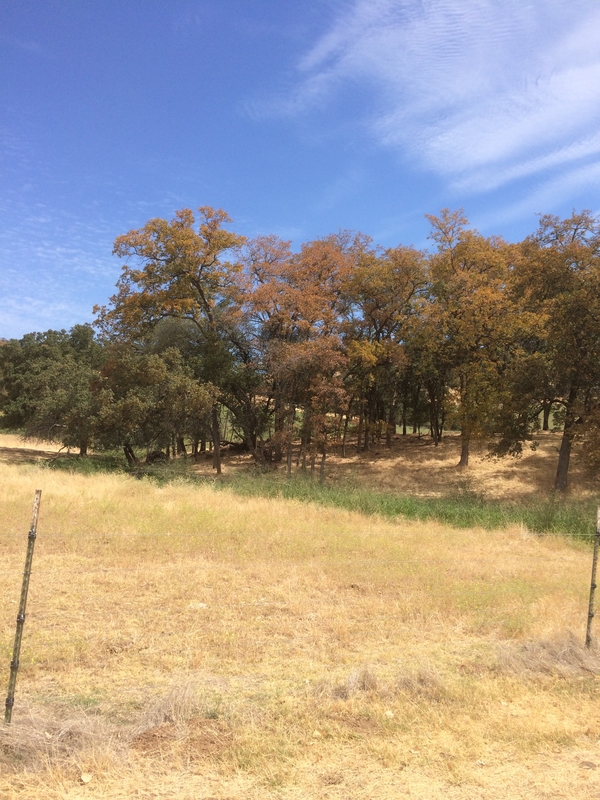 Closer to home, the oak trees in Auburn and at the Sierra Foothill Research and Extension Center are starting to turn color as if autumn were already here. When deciduous trees experience extremely dry conditions, they'll often shed their leaves early as a survival mechanism. 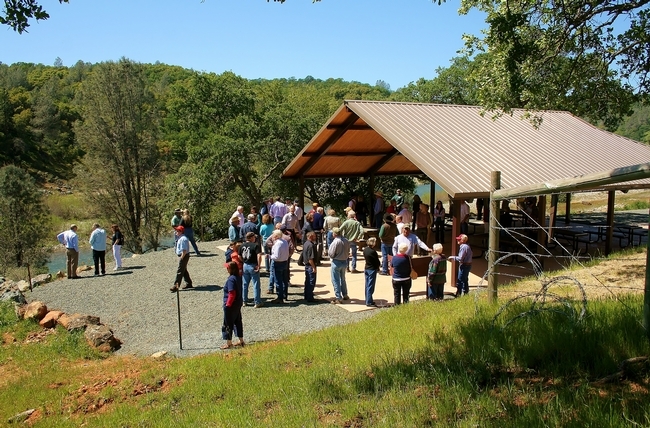 The blue oaks and black oaks at SFREC are dropping leaves earlier this year than most of us can remember. Some of the trees are in full color; they make the hillsides seem like we're already in October. In addition to turning color and dropping leaves, we've seen more trees dropping entire branches (and some are even falling down entirely). Finally, we're also seeing our seeps and springs dry up at SFREC. The flow in some springs has stopped entirely, while others have slowed to a trickle. One spring in particular, which has been developed to feed a series of water troughs at the higher elevations of the Center, has never stopped flowing in the past – even in the 1976-77 drought. In the fourth year of this current drought, we seem to be in uncharted territory. According to the National Weather Service, one of the strongest El Niños ever measured seems to be shaping up in the Pacific Ocean. Many in the media are reporting this phenomenon as if it's a sure bet – our drought is all but over! Unfortunately, the impacts of El Niño aren't so certain – Northern California is just about as likely to experience dry conditions as wet weather in an El Niño year. I'll believe we're having a wet winter when I'm still wearing my mud boots next April! In the meantime, I'll keep an eye out for additional signs of stress.